Hopefully more info to be added soon! Lynx 48 boxed with RAM expansion, boxed with leads, PSU and intro tape. Nice! Ta Adam! 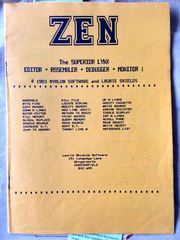 Lynx 128 ('Laureate') with Camputers printer interface and manual from Tim Schomer. 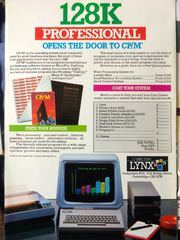 Lynx disk drive and interface, both boxed, 'preliminary' according to the manual. Lynx joystick interface, freshly discovered after 2 years in my inbox! Loads of Lynx software and memorabilia, all from Peter. Some pics below. 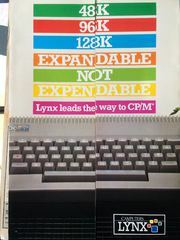 Unused box of 10 Lynx keyboards!